In severe collisions such as those described previously in "SRS Air Bag Deployment Criteria", the applicable SRS air bag equipment will deploy. However, in some accidents, the equipment may not deploy depending on the type of collision and its severity. 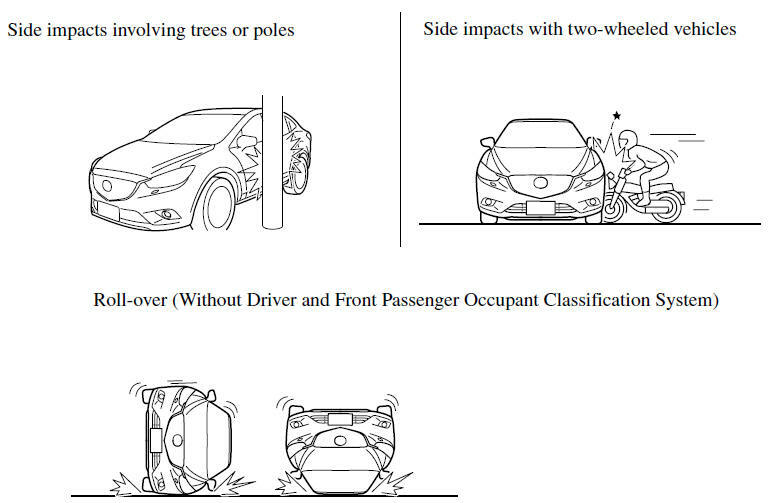 The following illustrations are examples of front/near front collisions that may not be detected as severe enough to deploy the SRS air bag equipment. 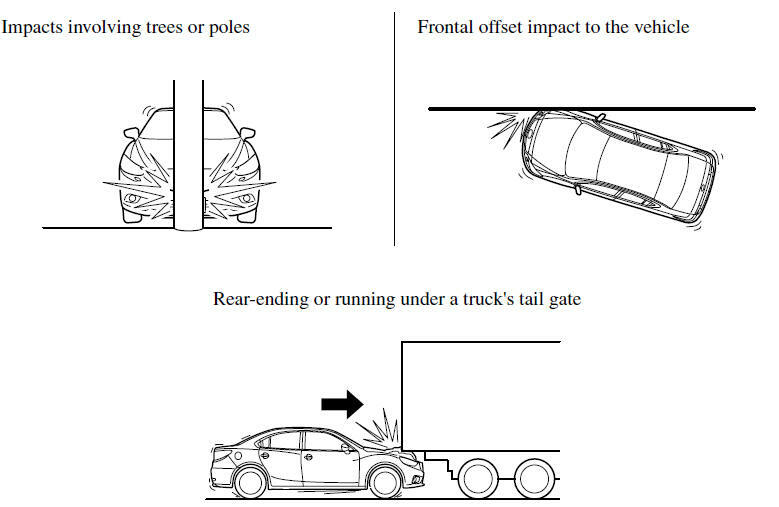 The following illustrations are examples of side collisions that may not be detected as severe enough to deploy the SRS air bag equipment. 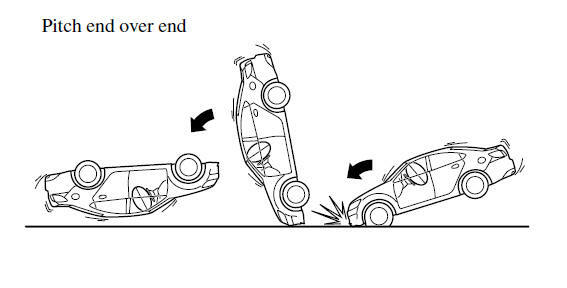 The following illustration is an example of an accident that may not be detected as a rollover accident. Therefore, the front seat belt pretensioners and curtain air bags may not deploy.